Spiders are something I am very passionate about avoiding, so I am happy to provide you an in-depth analysis of where to steer clear. 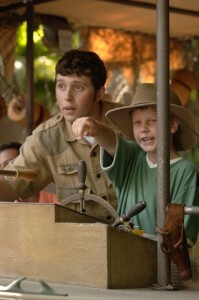 An animatronic tarantula is housed in a cage in the queue for Jungle Cruise in Magic Kingdom. The cage containing the animatronic occasionally lurches forward. The cage is pretty clearly labeled “tarantula”, so it’s easy to avoid; just don’t stand next to it while in line. There is also a red giant spider on the Jungle Cruise in the cave area. However, it’s so unrealistic-looking that even I’m not disturbed by it. If you want to avoid spiders on your trip, Animal Kingdom is where you’ll need to stay alert, starting at the entrance. Past the entrance touch points, you may spot a cast member holding an aquarium container surrounded. Do not approach, or do so with extreme caution. The container will likely be holding a huntsman spider or tarantula. Spiders feature heavily in It’s Tough to Be a Bug!, the most terrifying attraction in all of Walt Disney World and possibly the universe. A “friendly” tarantula in on screen for several minutes and black widows drop and dangle overhead. This attraction has been known to upset people of all ages with a fear of bugs. You may be better off skipping the show if you know you have issues with insects. Real life tarantulas are on the Pangani Forest Exploration Trail when you enter the research building. You won’t see them unless to approach the aquarium in which they are housed. I recommend just scurrying through the research building and onto the next part of the trail. Because Walt Disney World is in central Florida, seeing non-Disney snakes is always an option in any outdoor area. Luckily, most of the native snakes you’ll see are of the small green variety and are more afraid of you than you are of them. Snakes are found a few times throughout the Jungle Cruise, though they are more silly-looking than realistic. At the Agrabah Bazaar near the Magic Carpets of Aladdin, toys snakes are sold. The Great Movie Ride’s Indiana Jones section is filled with snakes. You’ll definitely want to keep your eyes closed—why did it have to be snakes? The risk of seeing wild snakes is comparably high Animal Kingdom where wildlife is so engrained in the theming. As far as fake snakes go, the entrance of Upcountry Landing, the area with the Baloo and Louie meet-and-greet, is constructed with wooden snakes. While Space Mountain and Haunted Mansion are open-air vehicle, the tight quarters and darkness could make the severe claustrophobic uncomfortable. Mission Space is essentially a tiny box that has you and three other people strapped and locked inside. I’m not generally claustrophobic, but once I got stuck on the attraction, and I was starting to feel antsy. 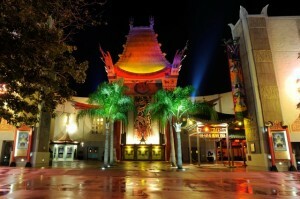 At Tower of Terror and Star Tours: The Adventures Continue, while these attractions do have larger capacity vehicles, they are enclosed spaces and sometimes plunge into complete darkness. Disney will not be setting any records for the tallest attractions in the world, but some can still head a little further off the ground than desired. Two of the three mountain ranges, Splash Mountain and Big Thunder Mountain, involve high heights, with Splash Mountain featuring the classic “big drop.” Space Mountain, on the other hand, is so dark it’s impossible to know how high up you are. Seven Dwarfs Mine Train and the Barnstormer with the Great Goofini are not particularly high compared to Big Thunder Mountain. The top row of Soarin’ lifts about forty feet off the ground, so if you’re nervous, you’ll want to choose the third row, which stays closer to the floor. 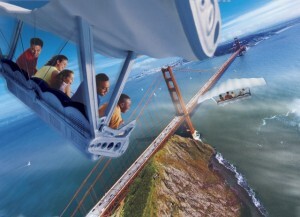 Disney does warn that folks with a fear of flying or heights avoid this attraction. Tower of Terror is rather self-explanatory: it’s a tall tower. It has “terror” in its name. Thirteen stories tall, to be exact. However, you only see the outside for a few seconds, so the dark is a bigger factor than the height. While I appreciate the gorgeous views of the Walt Disney World property from the top of Expedition Everest, those who would rather stay eight stories closer to the ground should steer clear. A surprisingly terrifying coaster for solid ground-seekers is Primeval Whirl. While it is only about four stories tall, the “wild mouse” coaster’s hairpin turns bring you a little too close to the edge for comfort. What scares you in Walt Disney World? Where can you find spiders, snakes, enclosed spaces, or heights? Maddi is a full time vacation planner at Magic Kingdom. She is a graduate of the Disney College Program and Disney Professional Internship Program. She is a long-time Disney World fan and her family has been DVC members since 2008. You can see more of her work at maddihiggins.com. What about a phobia of clowns? It’s fairly common now (I know at least two people) and there are clowns now at MK with the Giggle Gang. Great article! I too can’t watch ‘Tough to be a Bug’. I was so glad they removed the one in Haunted Mansion a few years ago. Bees and other sting-y things! I got my first wasp sting on Tower of Terror, because there was a nest near the ride. Needless to say, this has somewhat heightened my fear of this ride. And I had a meltdown, which most people probably associated with my not being able to handle the ride. I laugh about it now, but then, not so much. Obviously, if someone is scared of bees, going during Epcot’s Flower & Garden Fest isn’t ideal. But when it’s always “summer” in Florida, seeing bees and wasps is just par for the course. I have three siblings and my parents are the coffee shop next to Mission Space’s best customers. Travel blogs tell me that confronting – and defeating – your fears is a wonderful thing, and a vacation is the perfect moment to do it. They say it makes the memories even more special and permanent. And I also have the fear of a rollercoster breaking down and making me wait for hours without being able to stand up. Or worse – having to wait while upside down. My daughter has a serious costume phobia. She realizes that it’s just a real person inside, but it still makes touring the World extremely difficult. We are very glad that characters have specific times and locations for meet & greets. She has learned that she can (for the most part) walk around the parks without having to worry that a character will come right up next to her. Princesses are okay, Aladin is fine, Beast-no way! Good point, it’s a very similar set-up to Mission Space–definitely tight quarters! Kristi, I was just coming here to leave the same comment! I’m not generally claustrophobic, but as soon as they closed the lid on that thing I felt like I was being buried alive or something—had to hit the panic button. Yikes. I got stuck on Mission Space for 20 minutes last Wednesday when the ride went down! I’m 6’2″ 235 lbs. so I’m already taking up plenty of space. I’m not afraid of tight spaces, but was getting pretty anxious to get out of there… but I got a free FP and exchanged it at the Magic Kingdom for a skip the line pass on the 7 Dwarfs Mine Train! I would advise those with a fear of heights to also avoid Astro Orbitor in the Magic Kingdom. I know several people who have no problem with Splash Mountain or Thunder Mountain, but cannot ride this one. I agree – I have problems with heights, but can handle Splash Mountain and Expedition Everest with no problems. Astro Orbiter just about did me in. Once was more than enough for me – I just had to stare at my shoes until the ride was over. The only way I’ll ever ride it again is if I’m attempting the Ultimate Touring Plan, and I already know to look at my toes the entire time! My husband is claustrophobic and hates when the cast members tell people in the waiting area to move in closer, and closer, and closer. The worst for him is the waiting area for Tough to be a Bug. He closes his eyes and finds a happy place. He also hates when they do this for Country Bear Jamboree and Mickey’s Philharmagic, but by far Tough to be a Bug is the worst…probably the whole underground setting adds to the feeling. I also agree with a previous poster about the clown fear. My teen daughter absolutely refuses to stay at, look at pictures of, or even think about staying at the Boardwalk Inn due to the clown slide there. I have to admit that it is pretty creepy! If you’re afraid of mice you’re out of luck. You should also add Stitch’s great escape for enclosed spaces and darkness. My mom is slightly claustrophobic and freaked out in the It’s Tough to be a Bug queue. The walls are high and close together, as well as covered in some parts. She dashed through the fastpass line and waited for the rest of her party at the entrance to the theater. But I’d recommend just asking to use the back entrance. Just a suggestion: If you have a morbid fear of (spiders, heights, enclosed spaces, whatever) and are over something like 14 years of age, you should make an honest effort at trying to conquer the fear. I know many say they have tried and failed to do so, and that is fine. However, many I know who say they have tried to conquer their fears have never made an honest effort to do so. I can understand children who are afraid of things, and I can understand people who are adults and have a genuine fear that they have gone to lengths to conquer and couldn’t. What I will never understand is someone who has been afraid of something since they were a child and has NEVER made any effort to try to get over the fear. What a sad way to live a life. A friend of mine is very afraid of monkeys! But she loves other animals and is really looking forward to her first trip to Animal Kingdom (she lives in L.A. and frequents Disneyland). I’ve been considering putting together a map to show her where the monkeys are at AK, but I’m sure I’m missing some! Are there any you think I may be forgetting? For enclosed/dark spaces, the caves on Tom Sawyer Island at MK are a bit much for someone with mild claustrophobia like me to handle. I know they’re not real caves and are made for guests but it still freaks me out that I don’t always know exactly where the exit is.